This is a delicious treat that we know you will enjoy. The kids will all love it and so will the adults. It combines the things we all have loved since we were children, brownies, cheesecake and chocolate chip cookies Leave it to the Better Crocker™ Kitchens to come up with a recipe so good. Keep Betty Crocker™ in mind when you don’t have the time or inclination to do everything from scratch. 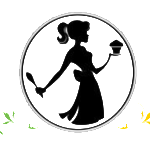 They make some great products, plus remember you can always customize the recipe to create something new. I am sure they would love to hear about it. 2. In large bowl, mix Brownie Base ingredients until well blended. Spread in pan. Bake 20 minutes.. 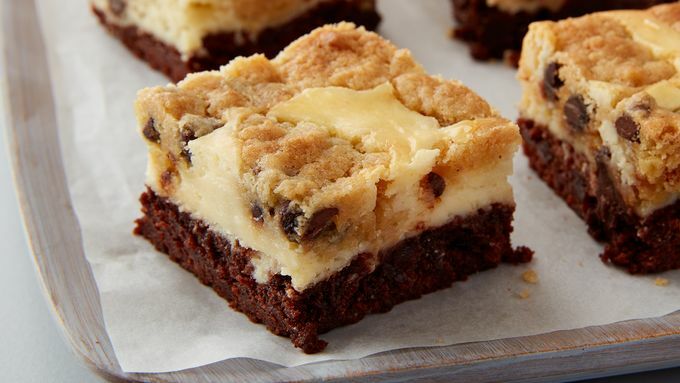 This Delicious Cookies-and-Milk Cheesecake Brownie Bars Recipe is from our friends at Betty Crocker™. Since 1921, the Betty Crocker™ name has symbolized General Mill’s continuing tradition of service to consumers. Although Betty was never a real person, her name and identity have become synonymous with helpfulness, trustworthiness and quality. It all began when a promotion for Gold Medal Flour offered consumers a pin cushion resembling a flour sack if they correctly completed a jigsaw puzzle of a milling scene. The Washburn Crosby Company, a forerunner of General Mills, received thousands of responses and a flood of questions about baking.